Download our Sales and Technical Catalogs to learn more about Crittall products. The Crittall Homelight series was designed for unit sizes that do not require the weight or depth of the Corporate W20 or Berkeley sections. Homelight windows allow for maximum daylight, as their design allows the incorporation of larger areas of glass. All units are hot-dip galvanized and in-house Duralife polyester powder coated for exceptional performance and minimal maintenance throughout the product’s lifetime. The Homelight window is available in a wide variety of sizes and configurations to suit any specification where strength combined with slim and elegant sightlines is required. 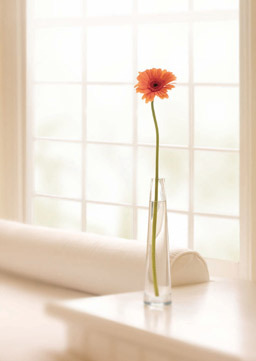 Homelight windows remain the same in sizes and styles to the original imperial range. All windows and doors are hot dipped galvanized against corrosion. All are weather-stripped, available double glazed, and polyester powder coated which ensures minimal maintenance. Slender sightlines allow for a light and airy feel, with strong steel frames that can accommodate large panes of glass. Strong and secure unit due to steel material. All Crittall windows and doors are hot-dip galvanized to ASTM A 123 (BS EN ISO 1461:1999). The units are entirely immersed in molten zinc resulting in windows and doors that are completely protected against corrosion. The hot- dip galvanizing process provides corrosion protection to mild steel components by coating and chemically bonding pure zinc to the steel substrate. Crittall products are powder coated and then painted in a wide range of available colors. 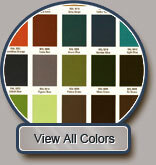 Click the link to see all of the color options available. Please inquire about custom colors. Alternative hardware can be accommodated by all ranges. Please contact us for specific project needs. Sound insulation of weather stripped windows/doors (approximate values averaged over a frequency range of 100 to 3150Hz).